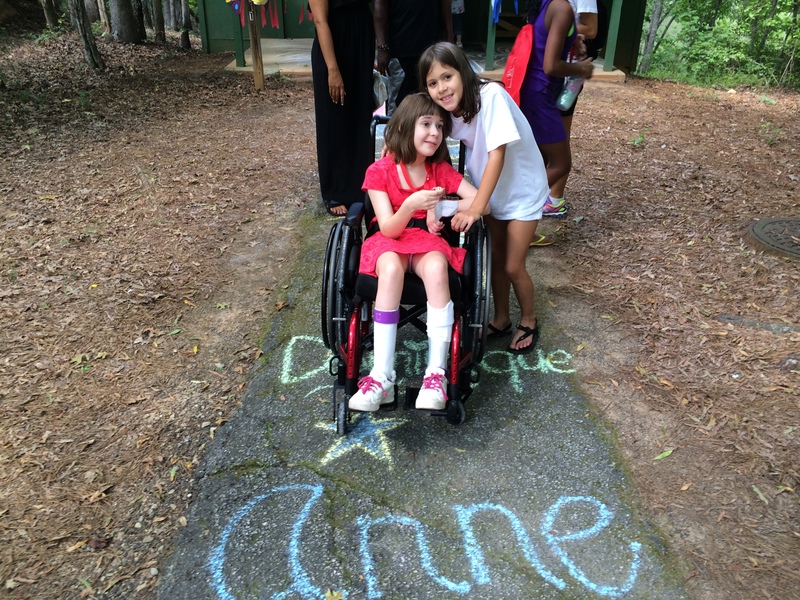 We dropped Anne off at Camp TBI this afternoon. 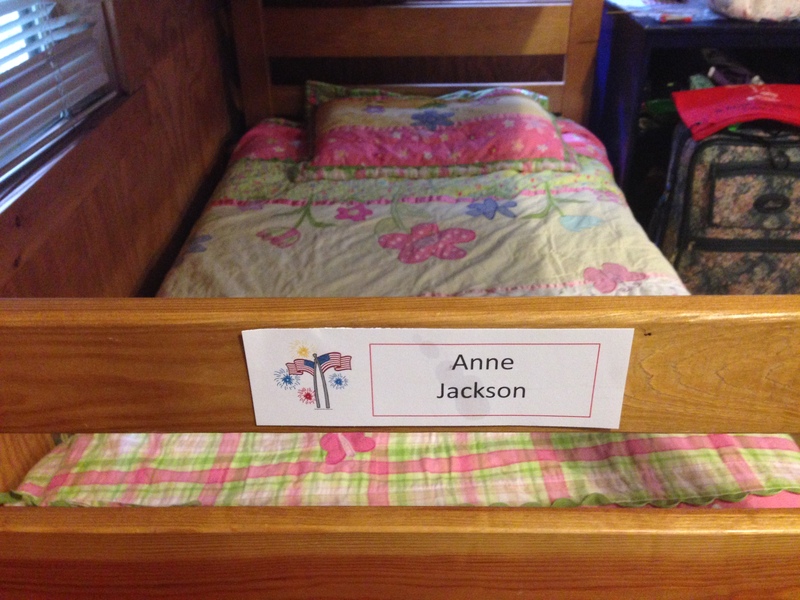 I can’t believe I actually left my precious Anne at camp. One part of me is desperately sad, and the other part of me is beyond excited. She’s in a cabin with four other girls and their counselors. 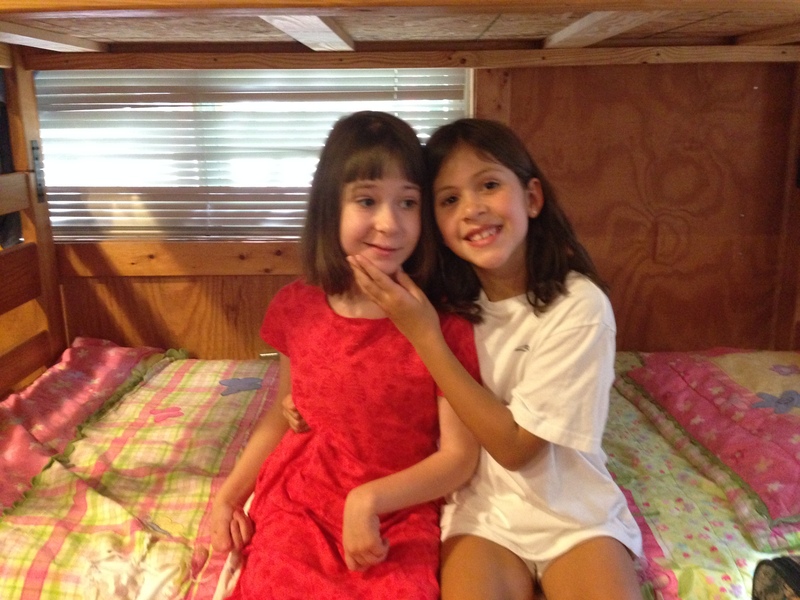 She’ll get to do activities like horseback riding, swimming, biking, arts & crafts, music – just normal camp stuff – but all made accessible to kids with disabilities. It’s a fantastic facility. I think Anne will have a great week!! Please pray for Anne to have FUN and to not miss us too much. I don’t want her to be sad. I just want her to make new friends, feel loved and have fun. Thank you! Bye Anne! We’ll see you on Friday!!! That’s incredible!! Very exciting. Anne told me about camp when I saw her in Macon. What thrilling news. This should be a big step and I will pray all week that it is a great one. Anne will be the life of the party; she’s a keeper! Oh, I can just imagine the emotions you are feeling right now. She will be fine; it’s you I’m worried about. :) Keep us up on her week, if you can. You’ll both be in our thoughts. Oh how exciting. This is HUGE stuff. Dancing a jig in Celebration of ALL the HARD work each of you/your family members and caring team have put into Anne’s specialized care, to bring her to the place where she can attend camp. What a looooong way from that circle of 70 folks in an emergency prayer-meeting!!! As Anne has a time full of wonder and exploration, I hope YOU, Mom, can enjoy some specialized time with your other two Heroes and Dad too, of course, grin. May it be a time of healing, of reconnecting, reaffirming with loads of fun and a bit of lollygagging thrown in for good measure. What a milestone! So excited for Anne! Praying she has a wonderful week and that you all have the same! I am so excited for Annie Bee!!! What a grand achievement. I am so proud of all of you. Hope you get some well deserved rest. 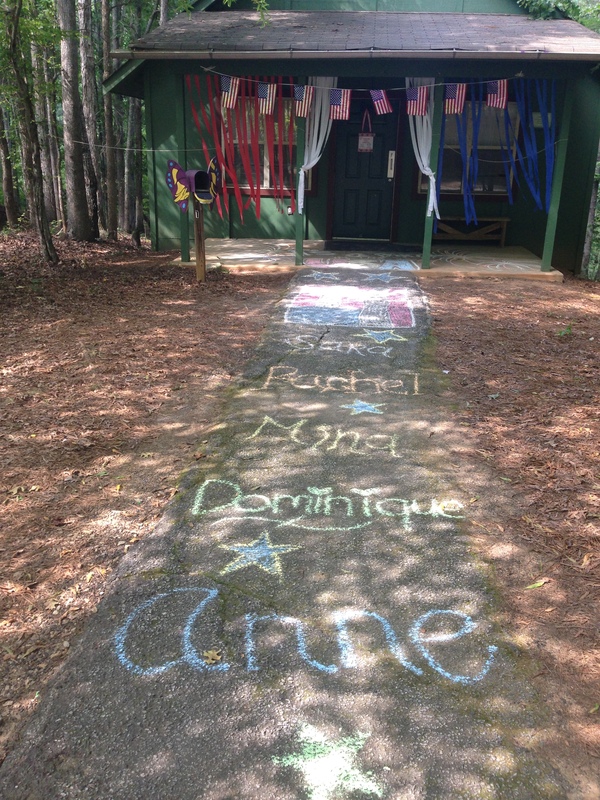 How awesome they have such a camp that Anne and others like her can attend for a week of fun! I hope she makes lotsa’ friends and has a really fun time. Perhaps she’ll be so busy that she won’t get too homesick. It’s normal, though, for children to miss home especially if it’s their first time away. Try not to dwell on missing her so much. Think more of all the fun she’ll be having! The counselors are trained to deal with children like Anne, so I have faith that she’ll be so tired by the end of everyday that she’ll fall right asleep and have such pleasant dreams. Friday will be here soon and she’ll be back at home! May God comfort you and your family without Anne this week God is always with Anne and He’ll take good care of her. So thankful for this! What a wonderful opportunity for Anne! I tweeted about Camp TBI! !